With so much on the line, between uncertainties involving utilities, state and federal policy, and a number of other factors, not so much can be said of their expectations for a robust future. For now, things look good locally, Clint Walker, president of Southwestern Solar Systems, said. But determining the health of the solar installations industry isn’t a clear-cut proposition. “It depends who you ask,” Walker said. His particular niche market, focused on large commercial solar installations, is doing quite well, he said. But asking installers in other areas of expertise may yield a different picture of what the industry is experiencing. Cecilia Aguillon, the director of marketing development and government affairs for Kyocera Solar Inc., a manufacturer of solar panels, said the question becomes even more complex when expanding beyond the installers and looking at the producers of solar energy components. Many solar panel manufacturers, Aguillon said, are waiting for a balance that could benefit both installers and manufacturers without landing a big blow to either one’s bottom line. The trend of declining prices for solar panels creates two very different situations for solar energy developers and those that produce the materials they use. Installers and developers have for some time enjoyed the lower cost of materials. But manufacturers, Aguillon said, see many of their competitors reducing their prices ahead of cost. “The question is whether or not you should do the same,” she said. In the solar business for nearly four decades, Kyocera looks to that question and knows that model is not a sustainable one, she added. Rejecting the temptation to underbid competitors as such, Kyocera is staying afloat. But it’s a challenge, Aguillon said, because what’s also unsustainable is the idea of being priced high against competitors for the long-term. “Either the raw materials will get so cheap that the prices will go down on that side and make us sustainable, or we will see more consolidation in the market,” Aguillon said. Either way, something has to change, she said. 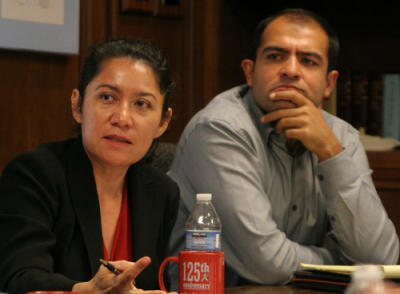 Sachu Constantine, director of policy at the California Center for Sustainable Energy, said that if the measure of the industry’s health is based purely on a customer’s ability to install, the industry is “doing great” because of an abundance of price competition, on both the manufacturing and installation sides. But signs of long-term sustainability in the overall market have yet to be seen, he added — a symptom of uncertainty with regard to how the market will react to the end of government-backed incentives, like the California Solar Initiative, and ongoing debates of how utilities should compensate or credit customers producing their own electricity, sometimes in excess of what they use. The California Solar Initiative, an investment of around $3 billion on behalf of the state with a goal of helping to fund nearly 2,000 megawatts of new solar electricity capacity between 2007 and 2016, ran through incentivized megawatts much faster than anticipated — attributable to high interest, solar energy leasing and declining costs for solar. The residential fund is completely exhausted in San Diego County. Other state and federal programs aimed to expand solar installations even farther, but they, too, are not expected to last forever. While the CSI is credited with driving installations, Kent Harle, president of Stellar Solar, said a world without the rebate program and other incentives isn’t something to be afraid of. In fact, he welcomes the day when he doesn’t have to deal with them. Without even using the CSI, Stellar Solar is selling systems with cost payback periods of less than five years now, Harle said, when just a few years ago, payback times were three times that. Still worked into the equation though is the federal Investment Tax Credit for solar, which provides a 30 percent tax credit for residential and commercial solar energy systems. The solar ITC was extended by several years in 2008 and will, if left unchanged, last through 2016. The 2009 American Recovery and Reinvestment Act removed the credit cap, which was previously $2,000, but with a dwindling down of state incentives, talk of national debt and political disagreement on how high up the priorities list solar belongs, no one knows what incentives will exist in a few years. Harle said he’d be able to sell systems even if it expired today. Many others don’t think the industry is quite ready to be let completely loose like that, though the majority opinion from within the industry seems to be that the industry doesn’t need as much of a leg up anymore, and that the expiration of certain credits or incentives won’t hurt. Martin Learn, owner of Home Energy Systems Inc., said the cost of developing solar systems versus more traditional power plants would be enough to keep the industry going strong, if the public was exposed to the math. Troy Hinds, project development manager for SPG Solar, said that with low interest rates and the rate of return speeding up in recent years on the heels of projects costing a fraction of what they used to build, the industry is sustainable on its own. But Suncraft Solar Energy Systems President Tom Holbrook said solar installers need to prepare for what he thinks seems an inevitable plateau, and possible reversal, in the declining price trend. The good part of that, he added, is that it creates a sense of urgency for consumers to install now. The bad part is that it forces installers to examine their operating models, paying close attention to things like direct labor costs, which he said comprise 20 percent of installation costs for his company. At some point, a line will have to be drawn, he said, at which installers would have to turn down jobs that don’t provide enough of an operating margin. Cecilia Aguillon, Director of Market Development & Government Affairs, Kyocera Inc.
Martin Learn, Owner/Operator, Home Energy Systems Inc.